Like father, like son – this is one of the most commonly used phrases when ascertaining the similarity of traits between father and son. It is only natural that a person’s offspring inherits some of their abilities, it’s all in the genes after all. In football, however, there are not many instances where a son bettered, or even replicated, his father’s antics as a player. The likes of Jordi Cruyff will always be mentioned among the players that failed to live up to their fathers’ names. But, there are exceptions – and here are five father-son pairings that were successful on the pitch. In a relatively recent interview, Sir Alex Ferguson claimed that he wanted the legendary Italian footballer, Paolo Maldini, at Old Trafford. So he once asked another legendary Italian, Cesare Maldini, father of Paolo, about his son’s availability. “My grandfather is Milan, my father is, I am Milan, my sons are Milan. Forget it." This is the response that the legendary Scot got from Cesare. And it was a great decision from the Italians’ perspective since Paolo went on to win the Champions League five times, more than Manchester United could ever win as a team. 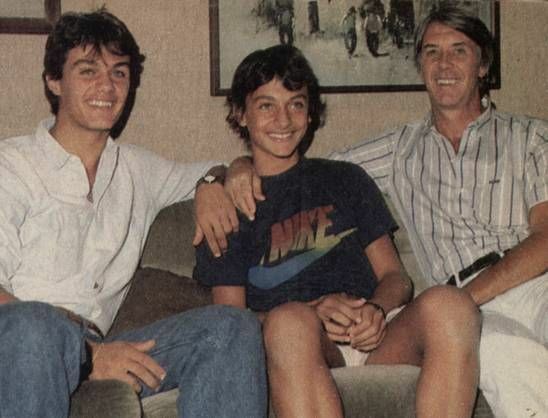 Cesare himself won the Champions League with the Rossoneri and wore the captain’s armband, something which his son also did whilst playing for the club.